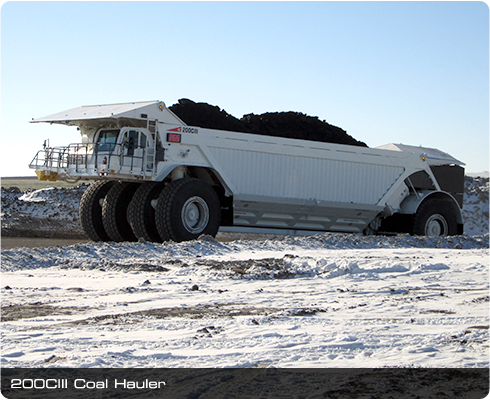 Designed and built for mining applications, Kress unitized bottom dump coal haulers are field proven to offer the smoothest ride, fastest transport speeds and the highest payload to weight ratio in the industry. 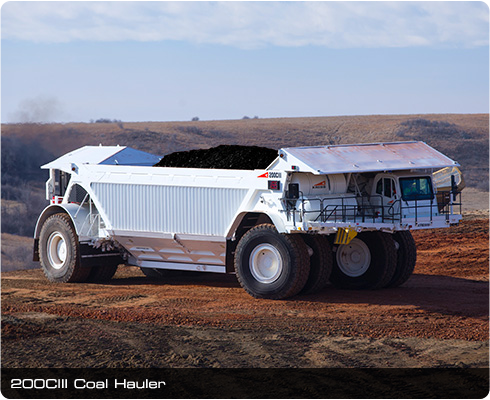 Kress’ long tradition of excellence continues with the 200CIII Coal Hauler – a machine that has been engineered and constructed to deliver superior performance, exceptional reliability and the lowest cost per ton. 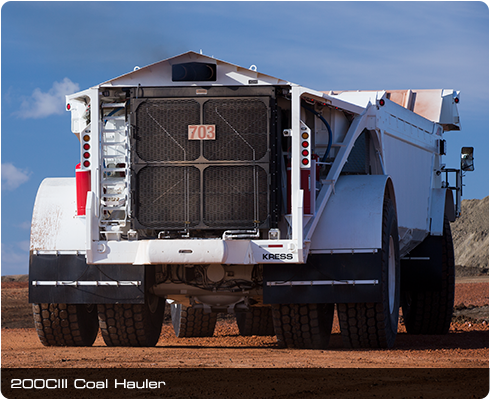 Kress Coal Haulers are sold and serviced through the Cat Dealer network and fully supported by Kress Corporation. 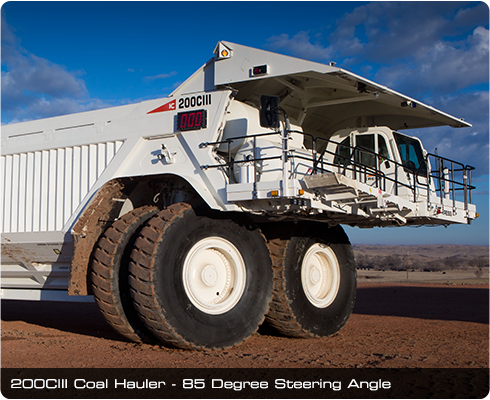 •	85 degree steering angle offers excellent maneuverability. •	Excellent weight balance for both empty and loaded truck. 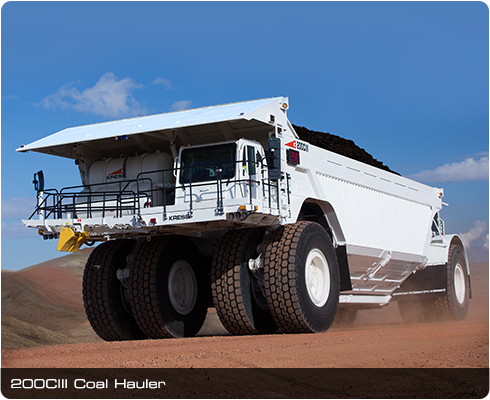 •	Dual tires on all 4 axles ensure long haul tire performance without limitations. 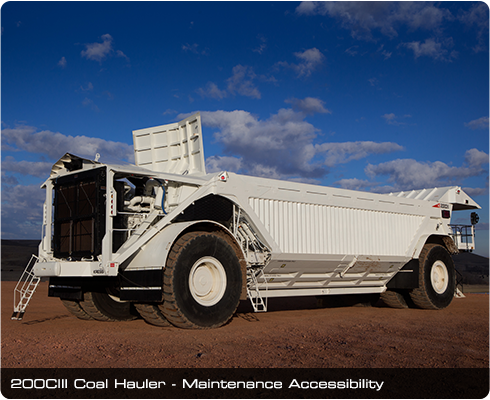 •	Smooth ride characteristics both empty and loaded. 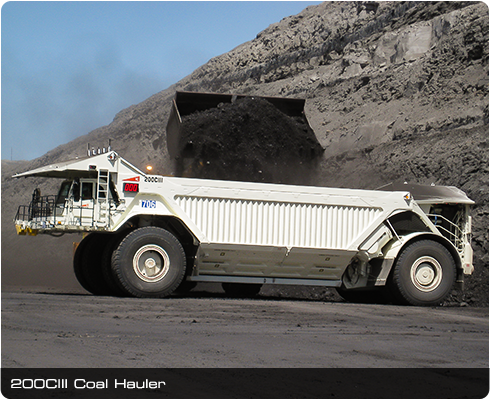 •	Integrated Kress and Caterpillar components, systems and technologies. 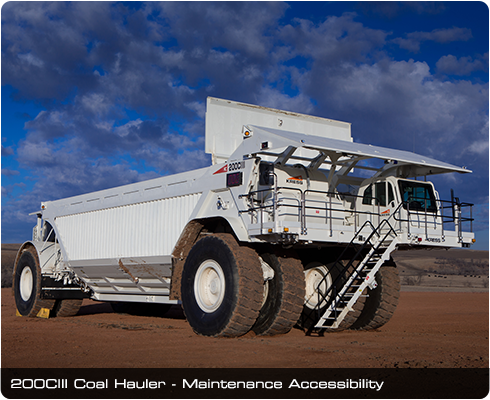 •	Sold, serviced and supported through the Caterpillar dealer network.